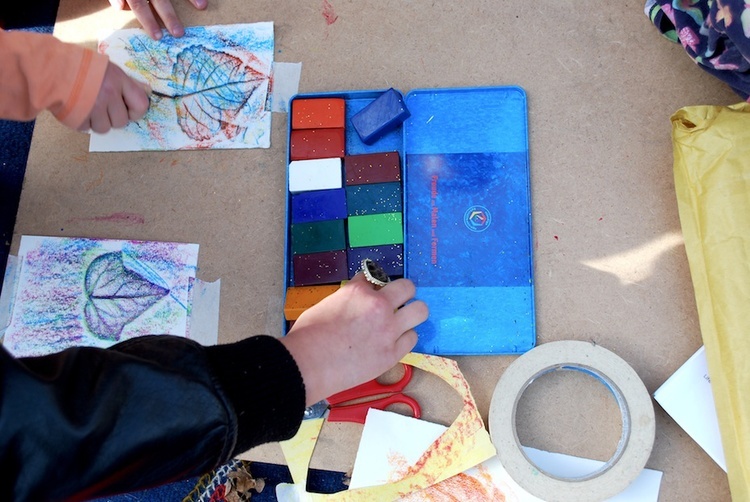 Watch this space for a pop-up art workshops for parents and young children! Sign up to our mailing list to hear about upcoming events such as this. 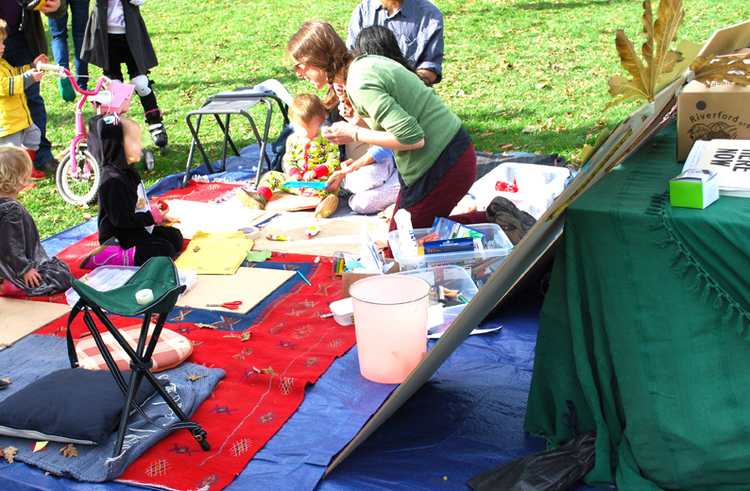 On the 20th of September, The Other Art Club ran an art and nature workshop for young children at the Hilly Fields Green fair. 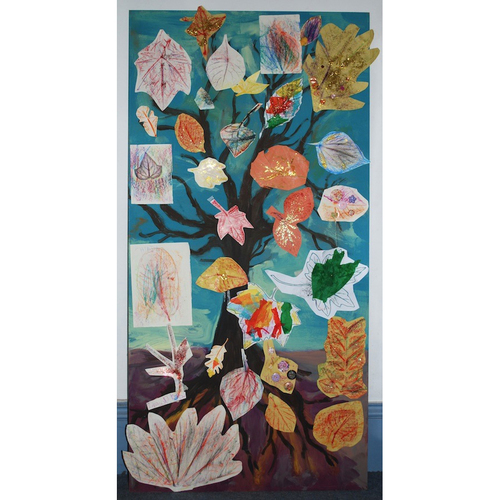 We made trace-through leaves with Stockmar beeswax crayons, which the children added to the Autumnal tree.